Do you know what’s the number one investment considered by most household? That’s right, a safe and secured home. But other than making sure of security and safety at home, why don’t we beautify and enhance it with all possibilities! Most of us get easily discouraged and opt to simplify things when all we could have is rather a small house. 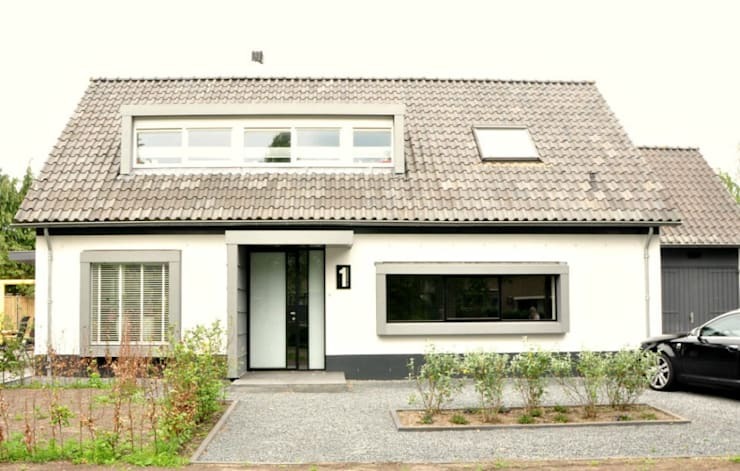 For today’s ideabook, let’s explore a detached house in Heiloo, located in the north of the Netherlands. See how such humble abode was able to have that peaceful and calming atmosphere from the exterior and interior of the house. One can easily see the traditional architectural traces on the roof of the house with the inclined cradle roof and tile cover. It is also noticeable how spacious and stylish the facade has been designed. The simple garden lined with stone paths, decorative plants and trees worked as a contrast element used in the façade architecture, adding brightness and intensity to the light and neutral shades of the house. On the other hand, the large wide windows helped create the illusion of wider spaces. Take note of such tips! The dining area just looks spacious with wide window openings, also giving access to natural light to pass through. Installing such big windows in your home can give you the pleasure of dining before the magnificent view of a lovely garden. 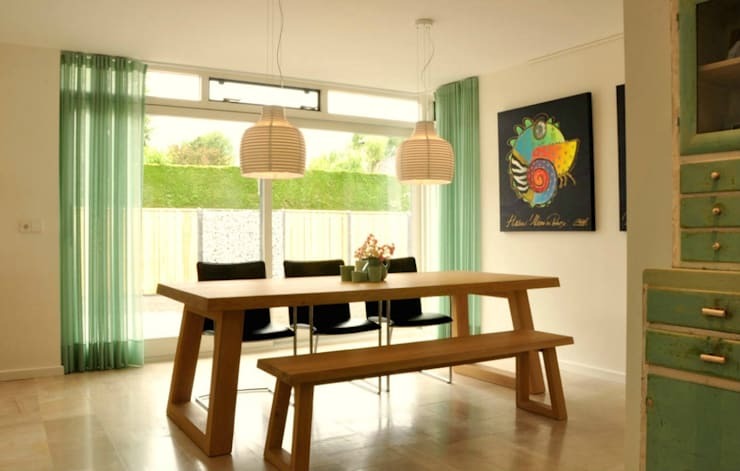 In addition to the wooden dining table and the use of a bench, there is a framed picture to emphasize the chairs and wall decor that contrast with their colors. The kitchen decoration is dominated by the light cream color. 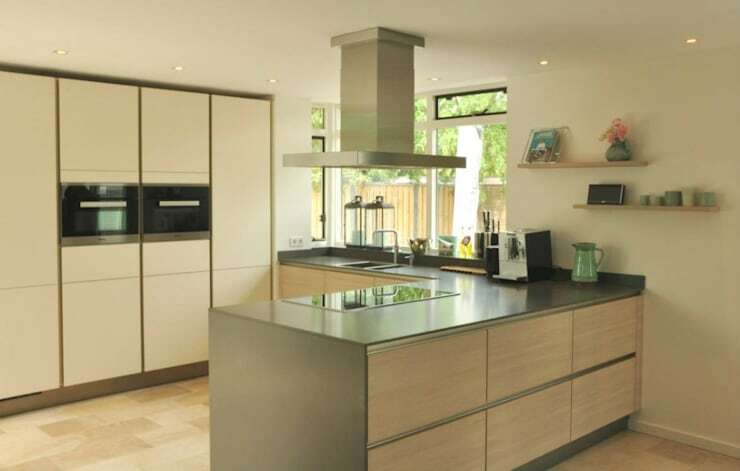 The kitchen countertop is fully furnished with drawer, shelf systems and storage systems to meet all your kitchen needs. It was also built in a L-shaped form to maximize efficiency and effectivity. The wide window by the sink also provides a delightful overlooking view of the garden. Have a relaxing kitchen atmosphere by matching the neutral colors of the walls with lively-colored décor and kitchenware. The most popular way to tap every kid’s heart is through games, entertainment and toys! Attract your kids to stay and play at home by allotting an individual playroom for them, ‘decorated and designed’ for them. In addition to the use of toys to appeal to them, stylish and decorative wallpapers create an eye-catching playground atmosphere. 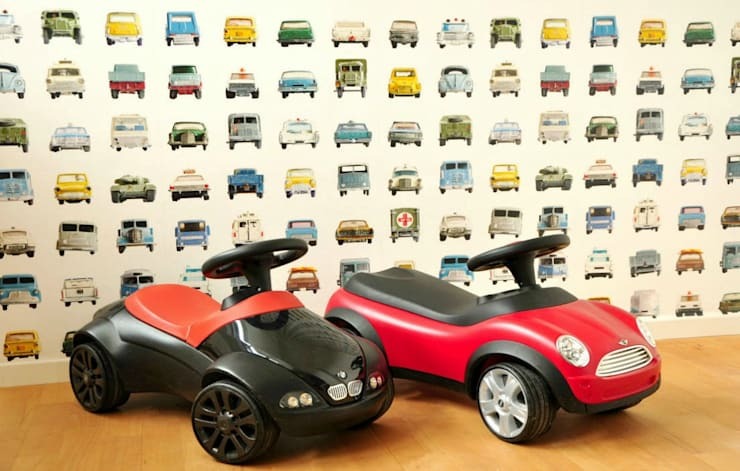 Wallpaper with colorful cars like in the example, will attract the attention of children who are especially interested in cars. In most areas where cream colors dominate, add cool and cheerful tones to induce refreshment and harmony in the atmosphere. By utilizing green curtains and wall decorations, it will look simply stylish and spacious. Bring feelings of freshness and spring to your home with decorative plants and pots. To add personal style, why not design your own decorative pots, vases and re-evaluate old items and décor that you can still use! Natural colors you can choose from include cream, beige and brown tones. Use natural texture and colors if you’re eyeing a peaceful and warm atmosphere. See how the textured carpet in the model with cream-colored wooden stools contrasts with other furniture. 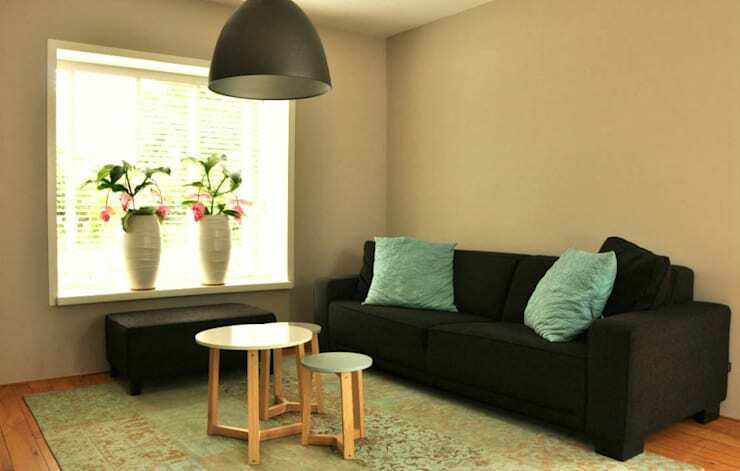 The sofa and lighting accessories are also in dark colors to contrast with the cream finish. To add variety, a stylish flower vase by the front window was also placed to provide a decorative and fabulous appearance.